CCF is a set of regional digital commerce meetups culminating in our annual summit, Connected Commerce. Connected Commerce 2019 will be Logicbroker's biggest event yet. In our 3rd annual event, we'll be heading to Nashville, TN for a full day of education, networking, and an after party you won’t want to miss. Mark your calendars - our CEO Peyman Zamani will be taking the stage on February 20th at 2:40PM with Fossil and Coca-Cola to share how you can win during the retail renaissance. Be sure to stop by our booth, #804, to say hi and for the chance to win one of our awesome raffle prizes! Come together to create the future of retail at ShopTalk 2019. The Logicbroker team will be at booth #4219 ready to discuss all things drop ship and have some exciting giveaways! ShopTalk will be held at the Venetian, March 3rd-6th - we hope to see you there! eTail East is the eCommerce & omnichannel conference, focused on transforming retail, together. Will we see you in Boston? We're excited to sponsor the event and share some eCommerce insights in our two speaking sessions - be sure to join us! 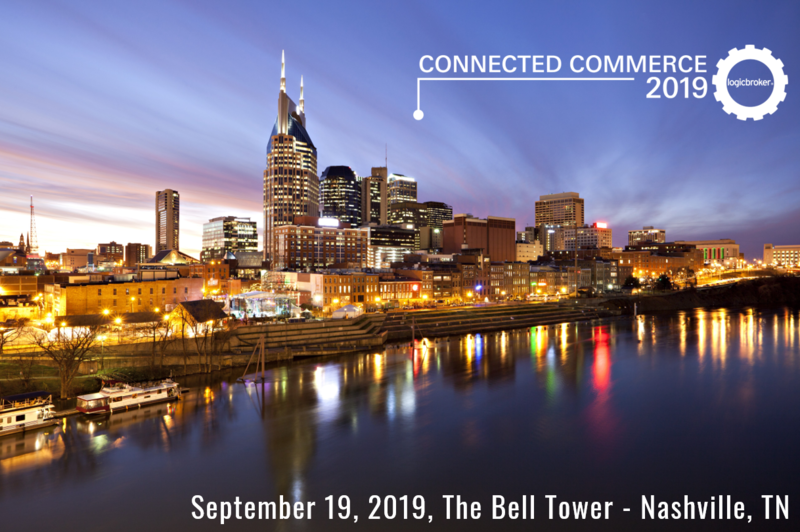 The goal of CCF is to take the same principles and values from our annual summit to different parts of the country, all leading up to Connected Commerce 2019 in Nashville, TN! We've selected some awesome venues perfect for networking and discussing current trends and the future of retail. Learn more about our CCF road show here. Connected Commerce is about uniting brands and retailers while bringing the brightest minds and the best of technology together. Join us in celebrating the future of digital commerce. The premier, one-day digital commerce summit will be held 9-19-19. We hope to see you there! About The Bell Tower: This historic church, dating back to 1874, has been transformed into a modern, spacious event venue. Abounding natural light, exposed beams, and an upper level mezzanine make The Bell Tower one of the most sought after venues in all of Nashville.